Except where mentioned, all of these releases are now out-of-print. Antropovision / New Data GVA 26 (VHS) released in 1998. Running time: 22 minutes approx. A semi-professional video shot at Ant's home and studio in August 1995. The majority of the video consists of footage of Ant talking to Guillermo Cazenave about various subjects such as Genesis, 12-string guitar, his reasons for leaving Genesis, the band being a group of composers, the Private Parts & Pieces series, New Age music and ambient music. The interview clips are inter-cut with short extracts of performances of Picaresca, Lights on the Hill, an untitled jam with writer Ronald Lloyd, two parts of a piano improvisation, The Meadows of Englewood, Lucy: An Illusion, Last Goodbyes and an untitled six-string guitar piece. The video, which is now out-of-print, was only available by mail order from Guillermo Cazenave's label Astral in Spain although Voiceprint Records distributed limited numbers of this and The Meadows of Englewood VHS release in the UK for a short time. Antropovision / New Data GVA 30 (VHS) released in 1998. Running time: 19 minutes approx. This video consists of mimed performances by Ant and Guillermo Cazenave of tracks from The Meadows of Englewood album which were filmed at New Data Studios in Barcelona, Spain on 13th May 1997. The tracks mimed to in the video are Peggy In The Skies With Diamonds, Lucy: An Illusion, Sortiledge and She'll Be Waiting. An extract from The Agent Mulder Never Resolves A Single Case accompanied by some video graphics is also included along with some brief out-takes from the mimed performances at the end of the video, which have Ocho Pomelos Con Pimienta as the soundtrack. There is also an introductory section to the video with some brief historical clips of Ant and Guillermo and an explanation about the recording of The Meadows of Englewood album. The video, which is now out-of-print, was only available by mail order from Guillermo Cazenave's label Astral in Spain although Voiceprint Records distributed limited numbers of this and the From Genesis To Revelation VHS release in the UK for a short time. 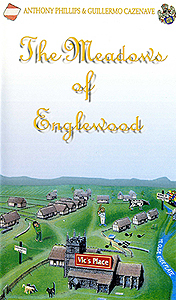 The material from the video was included on a DVD that was released with the 15th Anniversary Edition of The Meadows of Englewood - this release is currently unavailable. 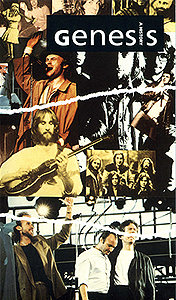 The home video release of the 1991 documentary charting the history of the band. 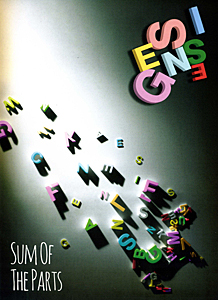 A different version of the programme (with an alternate selection of interview clips) under the title Genesis: The Story So Far was first broadcast on BBC 2 on 31st March 1991. Both versions of the documentary include an interview with Ant filmed in the summer of 1990. The video release also includes a short 30-second ident for the production company Best of British for which Ant composed and recorded the music. A documentary in which current and former members of Genesis talk about key songs from the band's repertoire and the history of the group. It includes an interview with Ant filmed in his studio in 2000. The DVD also contains some further interview sections not included in the main programme - none of the extra material includes contributions from Ant. Virgin CD BOX 14, released 10th November 2008. 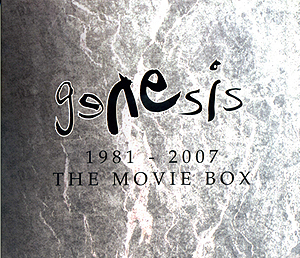 A boxed set containing the Genesis albums originally released between 1970 and 1975 as CD/SACD & DVD double disc sets. It includes two appearances by Ant in the visual extras. The DVD for Trespass includes a re-issue interview with the members of the band (including Ant) from 2007 looking back at the album and the associated period in the band's history. Ant's interview was filmed at Sarm Studios in London, where he was interviewed by Mike Kaufman. The Extra Tracks DVD in the set includes a re-issues interview on the subject of remixing the albums in 5.1 surround sound with a further short clip from Ant's interview. 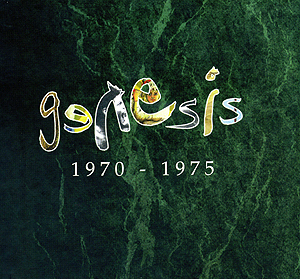 It also includes the VH1 special 'Genesis - Archive 1967 - 75' from 1998 which gives an overview of the history of the band and the box set release of the same name. The programme includes an interview with Ant which was filmed in the Summer of 1995 as well as some footage of the Genesis reunion photoshoot at Heathrow Airport in May 1998, which Ant took part in. Virgin VDVDBOX1, released 16th November 2009. A boxed set containing DVDs of the Genesis video releases Three Sides Live, The Mama Tour, Live At Wembley Stadium and The Way We Walk - Live In Concert. 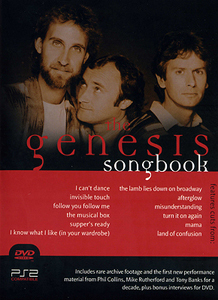 The set also includes a DVD of 'Genesis: Behind The Music Remastered' (also listed on the packaging as 'VH1 Behind The Music (Revisited)'), an extended version of the VH1 programme about the band in the series Behind The Music, which was first broadcast on VH1 in the US in December 1999. The extended version brings the band's story more up to date with an extra section to cover the 2007 tour and the band members solo activities. Ant was interviewed for the original programme which also makes use of a couple of family photos that Ant supplied to the programme makers. The programme also includes a short extract of Beside The Waters Edge from Archive Collection on the soundtrack. Eagle Vision EREDV1057, released 17th November 2014. The DVD & BluRay release of the "official career-spanning documentary telling the story of Genesis" which was initially broadcast on BBC 2 as 'Genesis: Together And Apart' on 4th October 2014. The documentary includes an interview with Ant which was filmed in the spring of 2014. In addition, it also includes two clips of Genesis playing live at the Roundhouse in London on 11th March 1970 as part of the Atomic Sunrise Festival, which is the only known footage of Ant playing with the band. 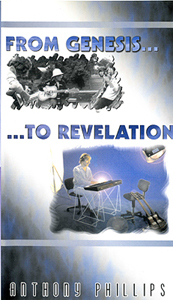 Both of these releases contain some additional footage not included in the original programme - none of this footage includes Ant but one section ('Tony Banks On The Loss of Anthony Phillips') includes footage of Tony talking about Ant's role in the band and the impact his departure had on the group. Warner Home Video UK S028112, released 30th May 1995. Running time: 201 minutes approx. The version of Tiwai: Island of the Apes included in this release is the repeat version from the Channel 4 series Keepers of the Kingdom, which was first broadcast in April 1995. It contains a short extra section not included in the original programme which provides an update on the situation on Tiwai Island. Two pieces of music that Ant wrote and recorded for Tiwai: Island of the Apes are included on Missing Links Volume Two: The Sky Road. 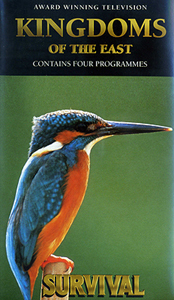 A double VHS release containing four programmes from the Survival series which were subsequently repeated in the 1991 Channel 4 series Kingdoms of the East. 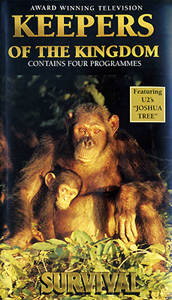 The selection of programmes included on this video release includes Land of Dragons, originally broadcast in 1989. The music for Land of Dragons is included on Missing Links Volume One: Finger Painting. CTE Video DD657, released 27th September 1993. Running time: 74 minutes approx. 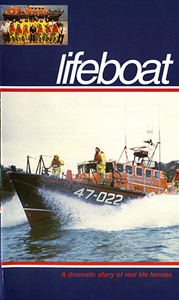 VHS release of the first three episodes (Shaken But Not Stirred, In Safe Hands, By Invitation Only) of the 1993 Central Television series Lifeboat, which documented a year in the lives of the RNLI Salcombe lifeboat crew. Ant wrote and recorded the music for the series and a selection of them were subsequently released as Lifeboat Suite on The Sky Road. Apart from the opening and closing themes, there is relatively little music used in the first three programmes in the series. CTE Video DD675, released 18th April 1994. Running time: 74 minutes approx. 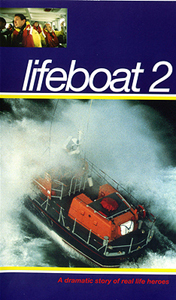 VHS release of the second three episodes (Never A Cross Word Spoken, Friendly Rivals, Let Not The Deep Swallow Me Up) of the 1993 Central Television series Lifeboat, which documented a year in the lives of the RNLI Salcombe lifeboat crew. Ant wrote and recorded the music for the series and a selection of them were subsequently released as Lifeboat Suite on The Sky Road. There is more music used in these second three programmes in the series. Valley Stream Media, no catalogue number. Release date unknown. 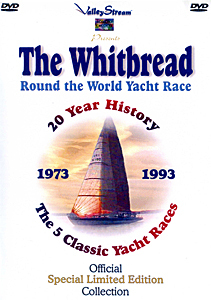 This DVD is a release of the 1992 programme "Whitbread Around The World Yacht Race: The First 20 Years" which was released as a promotional video. It was also broadcast on ITV on 29th September 1992. The programme includes Ant's theme music at the start of of the programme. The same piece was subsequently used as the opening and closing theme for the television coverage of the 1993 - 94 Whitbread Round The World Yacht Race, which was broadcast under the title of Sail The World. A CD of the same title with a selection of the music that Ant wrote and recorded for use in the television coverage was subsequently released in 1994. The rest of the music used in the programme is library music by other composers. WGBH Boston Video WG36809, released 30th March 2004. Running time: 60 minutes approx. 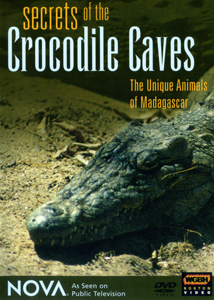 Secrets of the Crocodile Caves is an adapated version of the Survival programme Crowned Lemurs and the Crocodile Caves for which Ant and Joji Hirota wrote and recorded the music in 2000. As far as we are aware, to date the programme in its original form has never been broadcast on ITV in the UK although it was transmitted on cable TV in the US as the final programme in the series 'Kingdoms of Survival'. Secrets of the Crocodile Caves was first broadcast on PBS/Nova in the US on 20th January 2004 and was subsequently released on VHS and DVD. It uses sections from the original Survival programme alongside newly shot material and has a new narration. Some of Ant and Joji's music for the original programme is used in it along with some library music (with no connection to either of them) which was not included in the Survival version. Six tracks from the Survival version of the programme are included on Wildlife, listed as being from Dungeons and Dragons, which was the working title for the programme.